A lifestyle of worship is a spiritual discipline that will sustain your faith in hard times, carry you through to victory, and testify to the world of who God is. Worship is one thing: Ministry to the Lord. Will it be easy? No, not always. Will it be worth it? Yes, every time! Remember this from Psalm 119:68 – God is good and only does good. That’s it. Anything bad is not from the Lord. He has your future and hope in His hands. 1. He is who He said He is. Isaiah 55:11 says that the Word of God is send out and will not produce emptiness, and furthermore it will produce the things God sent it to accomplish. In Jeremiah 1, the Lord said He watches over His Word to see it come to pass. That is a God you can trust in, rely on and worship. Everything He said in His Word is true. And, in His timeline, it has already come to pass! The Word of God is full of names that give us a glimpse into His character. At different times in your life, He will reveal those names to you and you can worship Him according to His name: Waymaker, Promise Keeper, Defender, Strong Tower, Mighty Warrior, Help in Time of Trouble, Strength, Healer, Righteousness and more. Maybe today you don’t feel like worshipping - but therein lies its power - in the sacrifice of praise! God speaks the language of “sacrifice” because He sent His Son to do that very thing. Today, worship the Lord as an act of faith, knowing that He is who He said He is! 2. His mercies are new every morning. Solomon wrote the saddest book of the Bible, Lamentations, and in there he said proclaimed that the mercies of God are new every morning. 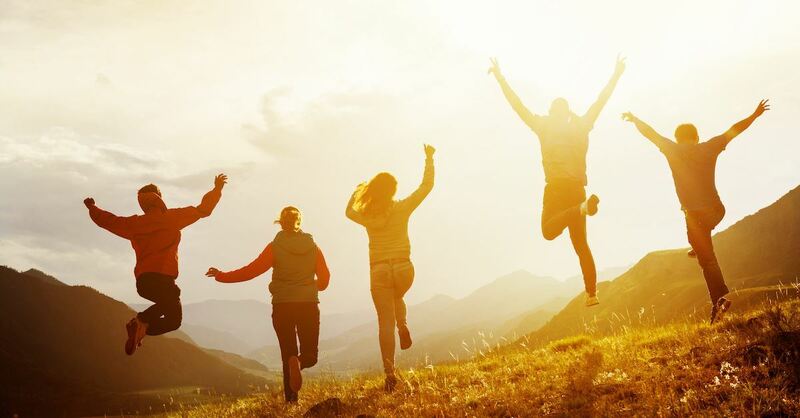 “…joy comes in the morning,” David wrote in Psalm 30:5. Also read Psalm 136 today! Sometimes it takes a little boost to get your faith into gear and the Bible is the best place to get some spiritual energy for the day. Nine times in Psalm 119 the Psalmist wrote, “Revive me” – so it’s okay if you need a jumpstart! You worship a God who gets you! In Psalm 77:6 Asaph wrote, “The memory of my song comes back to me in the night.” Songs of worship are a vital part of your journey through the “night” and when the darkness has passed and a new day comes, the mercy of the Lord will continue to bear you up, sustain, and protect you. You may not feel like a conqueror today (although Romans 8:37 says you are more than a conqueror through Christ), but that’s alright. Maybe today is just another “faith opportunity” in your life and the last thing you want to do is clap your hands or put them in the air and sing to Jesus, but that’s alright too! In fact, it’s more than alright. Your choppy water produces the perfect conditions for “battle worship!” Battle worship is ministry to the Lord on the worst day, during the toughest part of your life, when everything seems dark, hopeless, irritating, overwhelming and more. Battle worship is what you do when you harness all those emotions, channel them into praise, and shout to the Lord about His goodness. It is faith on steroids. And when you worship and minister to Him, you are a physical sacrifice to the Lord. Remember, God speaks the language of sacrifice. Sacrifice grabs His attention. Because His Son sacrificed first. When Abraham was willing to worship the Lord by sacrificing the thing he held most dear - his son- it was at the point of death that the Lord broke through and a miracle happened. When you put to death your mind, will, and emotions and bring your body to the Lord in worship; that is a “holy and acceptable” gift to Him (Romans 12:1). 4. God dwells within praise. Here’s the thing: Every believer who loves and follows the Lord desires to draw closer to Him; to connect with His Holy Spirit. You were created to worship. Everyone worships something, even if all they ever worship is themselves, because the spirit inside each person is searching for a spiritual connection. Why? Because every human on earth was made to fellowship with the Lord. Psalm 22:3 says that God dwells within praise. Yes, God is omnipotent (everywhere, at all times), but where He chooses to dwell? Worship. There is a unique anointing of the Spirit of the Lord in worship. The Bible is filled with promises for those who enter into His gates, the place where He dwells. Did you catch all of that? Answered prayers, joy, wonders, rest, beauty, shelter from troubles, safety, protection…and those are just a few of the promises attached to coming into His presence, His courts, with praise. Worship Him today, because all you have needed His hand has provided! 5. He watches over His Word to see it performed. Worshipping the Lord in “spirit and truth” is the most foundational aspect of “true worship”, as Jesus noted in John 4:23-24. It is from the spirit that one worships and connects with the Spirit of God and then, using His Word as the source of all worship that is written, sung, or expressed. Worship is set on fire as God honors what He, Himself, has spoken. This is why all worship must have direct roots in God’s Word in order to have any real anointing or power. In Isaiah 55:11 the Lord said, “My word be that goes forth from My mouth shall not return to Me void, but it shall accomplish that which I please, and it shall prosper in the thing for which I sent it.” But it gets better than that! In Jeremiah 1:12, the Lord promised, “…For I will hasten My word to perform it.” That means that the Lord is watching over His own Words, making sure they are carried out! Anything spoken from the mouth of God, any promise He ever made, is still in effect right now for you. So, when you stand in faith on His Word, when you worship and use His own Word as the foundation, you are reminding the Lord of what He said, the promises He made (not that He actually needs the reminder) and He steps in and will “hasten” that Word. He will not allow His promises to leave you empty-handed! Will they take longer than expected? Perhaps, but they are still in effect! So today, worship the Lord who is a Man of His Word. Get into His presence today with your sacrifice of praise. March right up to those gates and walk right in, entering with thanksgiving (Psalm 100). He is waiting for you there! 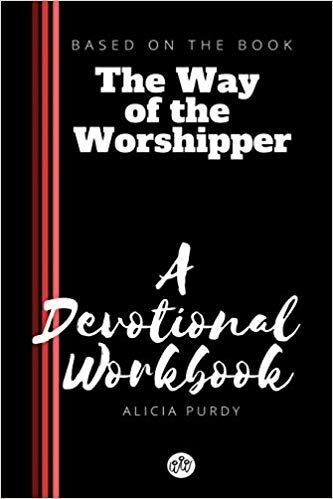 Alicia Purdy is a worship leader and author of “The Way of the Worshipper” and “The Way of the Worshipper: A Devotional Workbook”. Her passion is to write about a real faith in a real Jesus and to inspire, encourage and support the body of Christ. You can learn more at her blog: TheWayoftheWorshipper.com. She and her husband minister and serve in their local church and together they have 5 kids and 1 cat, named Chester.